The superstars are on pins and needles awaiting the outcome of the WWE draft, which could affect their relationships and friendships; Nikki is determined to get cleared by WWE and asks Nattie to train with her in the ring. The show starts at the Raw, the night before the draft. Where Stephanie and Shane McMahon introduced the GM's for Raw and Smackdown Live. Natalya, Renee Young and company are backstage watching when the announcements are made. Mick Foley and Daniel Bryan are then shown being introduced to the crowd in Providence. Natalya is shown off screen, stating that everyone is freaking out because it's the dawn of a new era, and everything is about to change. The show then flashes back to two weeks prior to the draft..... The Bellas are shown training in San Diego. Nikki hasn't been cleared yet by the WWE doctors, and can't be a part of the upcoming draft. She is training very hard and wants to wrestle again in the women's division..... We now flash to a Raw that took place during this time period. Eva Marie and Paige are shown backstage at Raw. After spending 8 months in NXT training, Eva is hoping that she is drafted to one of the two brands. Paige enters the scene, and says that it looks like she won't be a part of the draft because she is awaiting the results of her 2nd MRI. Back in Orlando at the Performance Center, Nikki Bella and Nattie are together training. They meet up with the WWE's head athletic trainer, Brian Duncan. Nattie and Nikki talk about how close they have been, since they both started in the company at the same time. Nikki Bella is trying to speed up her return, and she has Natalya get inside the ring with her to train. NXT star Billy Kay is also on hand to be a part of the training. Nikki asks Nattie to be stiff with her in the ring and not hold back. Nattie is worried that Nikki is pushing herself too hard, especially since she is trying to return from a very serious injury. Paige is now shown backstage at a WWE event in Detroit, Michigan. She is informed that she has to call Dr. Robinson to get an update on her recent MRI. Paige gets on the phone and is told that on the right side of her neck, that there is a little narrowing of one of the parts of her nerve. The doctor tells Paige that the results of the second MRI are similar to the results of the first. Dr. Robinson says that it's very minor, and that if Paige did not have symptoms. That they wouldn't have even thought of looking so deeply at that particular area of her neck. Paige is told to stick to her physical therapy, and that the hope is that the symptoms of pain will go away. Paige is told that surgery at this point is not required. When Paige hears this, she is very happy about the possibility of getting back in the ring. In another part of the Joe Louis Arena, Naomi is with Jimmy Uso. They talk about the possibility of them being split up because of the draft. When Jimmy starts making jokes about it. Naomi gets ticked off that her husband is not taking this issue seriously and walks off. We are now in Dallas, Texas. Eva Marie is meeting with her family for lunch. Eva complains to her family about how she has had to go through the ringer in the WWE. Her husband tries to encourage her for the improvements, she has made in the ring. Eva is reminded by her mom about the lessons, her dad always taught her of never quitting. When Eva Marie is reminded of this, she starts to break down and cry. Eva says that she is working so hard, and will be devastated if she is not taken in the draft. Back in Orlando, Nikki Bella is at the performance center training. She has invited MMA fighter Shayna Baszler, to come train with her. Nikki talks about how Shayna has a wrestling background, and has also had to come back from serious injuries in the past. Nikki is then shown applying submissions on Baszler when Natalya shows up. When Nattie is told that Nikki is going to practice taking neck breakers. Shayna is all for it, but Natalya protests the idea.... Nattie takes Nikki off to the side and gives her a heartfelt speech about not wanting to see Nikki get hurt. Nikki tells Nattie that she is determined for this to happen under her terms, and that if Nattie doesn't want to train her. She will find someone else to work with. The 2016 WWE Draft has finally arrived. It took place on July 19th at The DCU Center in Worcester, Mass. 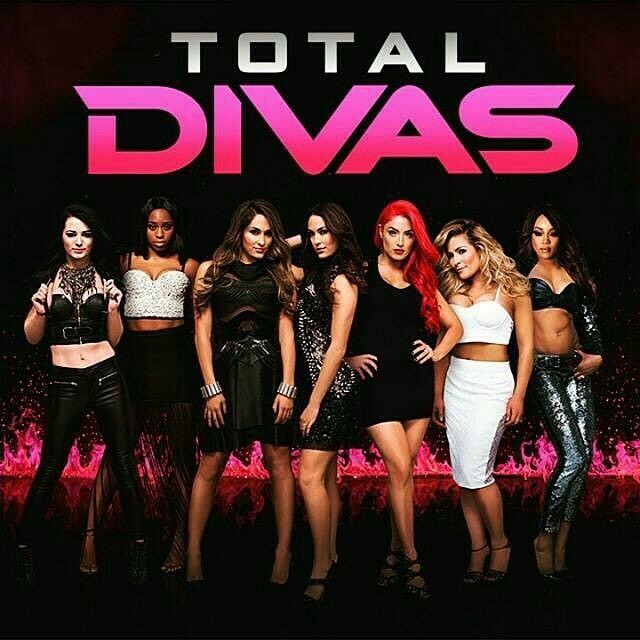 All the female talent are shown arriving to the arena. Lana is with Rusev, and says that she doesn't want to have any negative thoughts about splitting up from her husband. Natalya is backstage and bumps into Mark Carrano, but he refuses to spoil the surprises for the draft. Renee Young is prepping on the WWE Network set for the draft. She is very nervous about where Dean Ambrose is going to end up. Renee says that she has been told that she is heading to Smackdown Live.... Later on, The female talent are all sitting together in front of a big screen backstage, preparing to watch the draft. Paige sits in and says that she has heard rumblings that her boyfriend, Alberto Del Rio may be on a different brand than her. Paige seems very disappointed but tries to downplay it. The draft starts..... Different draft picks are shown while superstars react backstage. A good portion of the talent roster is seated together in a section of the arena backstage. The Dean Ambrose pick by Smackdown Live is shown. Ambrose is seen pumping his fist and smiling. While the other superstars congratulate him. Natalya and Sasha are sitting together next to all the other stars. Their selections are also shown. Nattie is very happy when she gets selected to Smackdown. When Rusev is drafted with Lana as a package. Lana is shown and is very surprised. She is happy to be with her husband on Raw, but states that she is going to miss her friend Natalya, now that they are on separate brands. The next pick shown in the draft is Alberto Del Rio to Smackdown. Paige is off screen saying that she has to be drafted to Smackdown now to join him. Back to the waiting area, Nattie asks Paige if she will end up with Del Rio on the same brand. Paige says "probably not". The draft has concluded on Smackdown Live, but is being continued on the WWE Network. The Usos are shown being selected to Smackdown. Naomi cheers as if she and her husband Jimmy will now be together, but Jimmy informs her that she has to be drafted to SD Live first. Seconds later, Naomi is drafted to Smackdown. She is elated, puts on some Smackdown gear and hugs her husband. Raw is now on the clock and selects Paige as it's next pick. Paige puts her head down and blurts out the word "F**K". Paige is then escorted to another part of the arena. She is then shown off camera, saying how she doesn't feel good about any of this. How she is struggling with her neck problems and how now she is being separated from her boyfriend. Lana comments on how sad she is, that all of her friends are going to be on the other brand now. That she is going to be forced to make new friends on Raw. Lana tells Rusev about this. He says that he is her friend.... Meanwhile Eva is talking to some of the other stars. Paige walks by and Eva offers her a hug. Paige refuses and sees the trunk of a car open in the parking lot, and says that she is going to go slam her head in the trunk. Back at the performance center in Orlando. Nikki Bella is having another day of training. She is without Natalya. Nikki gets on the phone with her sister, and tells her about her current situation. How Nattie doesn't want to work with her, out of fear of Nikki getting re-injured, because she is training too hard. Nikki tells Brie that she needs Nattie and that she needs a strong support system, if she wants to make a return to the ring. Brie suggests that Nikki tell Nattie, how she feels.... We are then taken to Natalya's home in Tampa. Brie Bella pays her a visit. They both end up having a heart to heart about Nikki and her current situation. Brie gives Nattie advice on how to deal with Nikki during this tough process. Nattie ends up agreeing with Brie, and agrees to continue working with Nikki for her in ring return. We are now at the first Monday Night Raw after the brand extension... Lana bumps into Mark Carrano and wants to know if she is going to go back to NXT again to train for wrestling. Carrano tells Lana that her on air role is with Rusev, and that there are no plans for Lana to wrestle right now. Off screen, Lana says that she still wants to wrestle, and someday be women's champion.... Lana is happy when she sees Nia Jax. She greets and tries to befriend her. Lana tells Nia about her current predicament of having very few friends with her on Raw. Lana says that her and Paige don't get along very well. That their personalities don't mesh, and that Paige always has temper tantrums. After Lana finishes rambling, Nia politely says that she doesn't want any part of the Lana-Paige drama, and walks away.... Lana then tries to face time Natalya but can't reach her. Lana tries to facetime Trinity and has no success. At a Live Event in Arkansas, Paige bumps into Alicia Fox backstage. Paige asks Alicia to go outside with her. She then tells Alicia that she is having a mental breakdown. That she has only been in love with one "f******" person and that she has now lost him. She reveals to Alicia, that her and Alberto Del Rio have broken up. Off camera, Paige says that her and Alberto have broken up and that she is sad, because he is the only guy that she has ever loved in her life. Paige starts crying and says that them too being seperated contributed to it. That they had a big argument. Paige tells Alicia that she has never felt this way before, and that she is so miserable right now. Paige walks away from a production truck that has Del Rio's picture on it. The show closes with Paige saying that she needs to re-evaluate her life. Hugs all around! You never know what emotions #TotalDivas is going to throw your way.